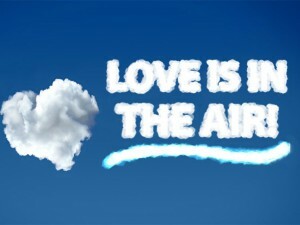 Love should be spread to every corner of your world on Valentine’s Day. That includes your house. You should use the holiday to remind you to give your home some TLC. Follow these three tips to give your home some love this Valentine’s Day. Although spring will soon be upon us and we will get to go outdoors, you can get a jump on the fun by bringing outdoor-style heating to your living space. Get your chimney inspected so that you can enjoy beautiful gatherings around your family hearth. Annual chimney cleanings are essential to prevent the buildup of creosote, which can start a deadly fire in a heartbeat. You should think about taking the party outside with outdoor heating options. A bonfire is guaranteed to make for a fun-filled night with friends and family. You can always go less primal by using a fire pit or an outdoor heater as well. The point is that you can always take the party to the great outdoors if you are willing to harness the power of outdoor heating. 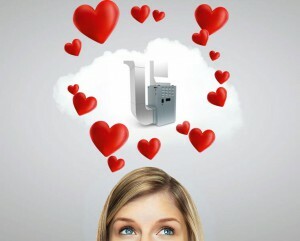 Valentine’s Day is a great time to perform some routine maintenance on your furnace. Give your furnace a once over or better yet hire a professional to give it a thorough inspection. At the minimum, you should change the filter and install a high-quality HEPA filter replacement to improve the air quality inside your home. You should also think about getting your ducts cleaned as part of your annual furnace maintenance routine. The air ducts will build up lots of dust over time that negatively impacts your health if it is not removed. It doesn’t matter how great your heating and cooling system is if your home is not properly insulated. Use this time to take a look at the insulation in your home. Check to see if there are areas where additional insulation would lower your heating and cooling costs. You also need to use this time to think about everyday ways you can lower your energy use. For example, you need to be careful to keep doors and windows in your home fully closed in order not to waste climate-controlled air. You also need to think about the temperature settings you have set up on your HVAC system. Think about whether you can stand it a few degrees warmer in the summer and cooler in the winter in order to shrink your home’s carbon footprint and lower your energy bills. If you want professional help getting your home’s heating and cooling needs squared away this Valentine’s Day, turn to Cyprus Air Heating & Cooling city in Alexandria, VA. When you contact Cyprus Air Heating & Cooling at 888-475-0402, we will make sure to take care and give your home the love it deserves. We will work with you to create a mixture of indoor and outdoor heating solutions to make your home a paradise.